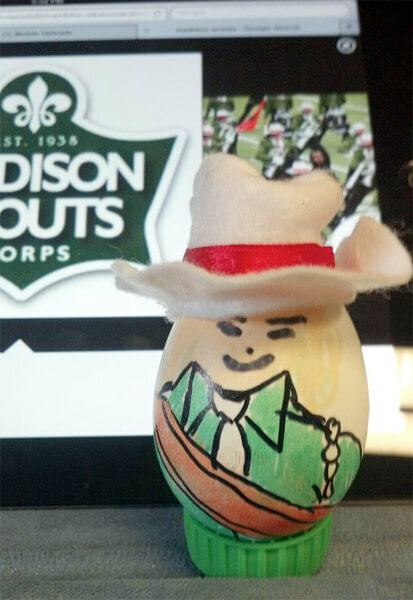 Here is a Madison Scout Easter egg me and my son Connor made for Easter. I aged out from Scouts in 1988. Connor also wants to march and he will age out in 2026.